aka JOHN CARTER May 24, 2011: Walt Disney Pictures JOHN CARTER OF MARS has had its name shortened to simply JOHN CARTER. The film is directed by WALL-E and FINDING NEMO helmer Andrew Stanton, and will be released on 9th March 2012 in the US. akes Las Vegas Debut at Wynn Las Vegas on May 26 LAS VEGAS, NV--(Marketwire - May 23, 2011) - Aristocrat Technologies' new Tarzan® Lord of the Jungle™ video slot game has been swinging into casinos across North America. Now the Lord of the Jungle is coming to the crown jewel of the gaming industry, making his Las Vegas premiere at Wynn Las Vegas on May 26. Invited players will be able to participate in a free pull promotion to celebrate Tarzan's arrival at the 5-diamond resort/casino. 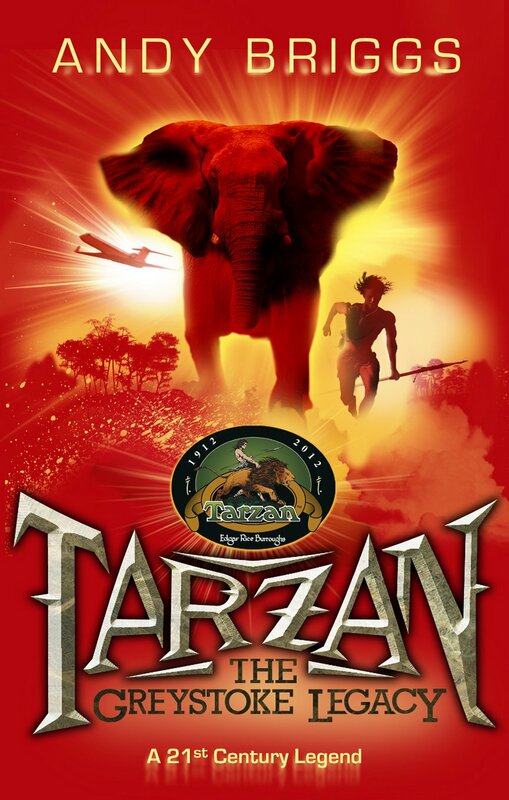 The Tarzan Lord of the Jungle video slot game brings the myth and fantasy of the famous tale to life with dazzling graphics, stereo sound, seven high-hit frequency bonus features and a four-level progressive with a giant top jackpot of $250,000! 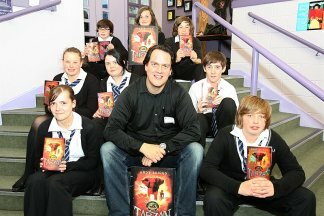 Hollywood screenwriter and author Andy Briggs thrilled Perth pupils with his reworking of the Tarzan tales during a promotional tour in the town this week. A donation from each Tarzan: The Greystoke Legacy copy sold will go towards the Year of the Ape campaign, backed by zoos across Europe, to help save endangered apes. Andy, who writes the Hero.com and Villain.net series, has worked on numerous movies and TV shows in Hollywood and around the world. 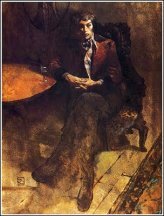 Jeffrey Catherine Jones died today (May 19, 2011). She will be greatly missed by family, friends and fans of her wonderful art. ERBzine tributes are to follow. . . Noted illustrator and sometime comics artist Jeffrey Catherine Jones died yesterday of complications from emphysema. In comics, her work appeared in Heavy Metal, the various Warren magazines, Epic Illustrated, and many, many others. Committing herself to illustration in general and expressionism in specific, she was a member of the legendary Studio along with Michael Kaluta, Barry Windsor-Smith and Bernie Wrightson. Jones’ illustrations graced a great many science fantasy novels (Michael Moorcock, Dean Koontz, Fritz Lieber, Andre Norton, and others) and magazines as well as publications such as The National Lampoon. Her work has been reprinted in a number of albums, most recently IDW’s Jeffrey Jones: A Life In Art. This ironically titled tome was released at the beginning of this year. 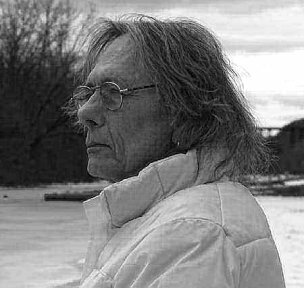 Jeffrey Catherine Jones, celebrated artist whose work is best known from the late 1960s through 2000s was born Jeffrey Durwood Jones, in Atlanta, Georgia and died May 19, 2011 at home at the age of 67. Jones moved to New York City in 1967, and rapidly developed a reputation as an exquisite illustrator and graphic artist, painting over 150 book covers and creating the full-page comic strips Idyl for National Lampoon Magazine and Im Age for Heavy Metal. Jones has been called a genius whose works appeared both effortless in execution and blinding in their beauty. World-renowned illustrator Frank Frazetta called him "the greatest living painter". Jones began gender reassignment therapy in 1998 after which Jones lived as Jeffrey Catherine Jones. Her studio was in the Catskill Mountains where she painted local landscapes. She continued drawing until her death. Jones' work has been in continuous publication and her work is shown and enjoyed around the world. The documentary Better Things: Life and Choices of Jeffrey Jones is in production from Macab Films. She is survived by her daughter Julianna Jones Muth, and three grandchildren, Nikolai Muth, Adelaine Muth, and Merryn Arms. A memorial to celebrate Jones life and recognize her death, will be held on Friday, May 27th, from 6-9pm at Simpson-Gaus Funeral Home, 411 Albany Avenue, Kingston, NY 12401. Memorial contributions may be directed to the Hero Initiative, 11301 Olympic Blvd., #587, Los Angeles, CA 90064. New York, NY, May 19, 2011-Simon & Schuster Children's Publishing announced today it will publish a new original anthology called The New Adventures of John Carter of Mars, edited by John Joseph Adams and based on the characters created by Edgar Rice Burroughs. Publication will be in the spring of 2012 and will coincide with the 100th anniversary of A Princess of Mars, the first book to feature John Carter. The anthology envisions all-new adventures set in Edgar Rice Burroughs' fantastical version of Mars (known in the series as "Barsoom.") This anthology not only imagines new or the lost adventures of John Carter, but also explores the other characters and niches not fully explored by Burroughs. David Gale is the acquiring editor, and Joe Monti of Barry Goldblatt Literary Agency brokered the deal. Simon & Schuster holds World English rights. Celebrated fantasy writer Tamora Pierce will write the foreword to the anthology, and John Joseph Adams will write the introduction and header notes. The collection will include stories by Joe R. Lansdale; Jonathan Maberry; David Barr Kirtley; Peter S. Beagle; Tobias S. Buckell; Robin Wasserman; Theodora Goss; Genevieve Valentine; L. E. Modesitt, Jr.; Garth Nix; Chris Claremont; S. M. Stirling; Catherynne M. Valente; and Austin Grossman. There will also be a "Barsoomian Gazetteer," a who's who and what's what on Barsoom, written by science fiction author and noted Barsoom expert Richard A. Lupoff. In addition, each story will feature an original illustration by noted artists such as Charles Vess, John Picacio, Michael Kaluta, and Misako Rocks. At the same time, Simon & Schuster Books for Young Readers will publish John Carter of Mars, a bind-up of the first three John Carter books: A Princess of Mars, The Gods of Mars, and The Warlord of Mars, with all-new illustrations by Mark Zug, Scott Fischer, and Scott Gustafson. "I still vividly recall the summer as a teenager that I read all eleven of Edgar Rice Burroughs' Mars novels in one enthusiastic gulp," said Jon Anderson, Executive Vice President and Publisher of Books for Young Readers. "The opportunity to revisit that experience with new stories from this stellar roster of authors was too much to resist!" Tarzan the Greystoke Legacy is available for pre-order at the Amazon sites in the UK, Canada and the USA. The books will probably slowly start appearing in UK stores from the end of this week. Amazon always deliver first. It will be out a month later in Canada. Kindle books are also available to pre-order across Amazon, released the same time. Exclusive: Tarzan fans in Israel will be able to get the Hebrew version from Kinneret. They were one of the first countries to bid! We are not sure of the release date, but will keep you posted. We are donating money to the YEAR OF THE APES campaign, which is run by EAZA (European Association of Zoos and Aquaria) - which will help conservation for apes around the globe - from Orang-utans in Borneo, to Chimps, Bonobos, Gibbons, and of course, Gorillas, in Africa. This will come from the cover price of every book sold. BERLIN -- Constantin Film, Germany's leading production group, has unleashed its global ambitions with a slew of high-profile releases including an animated Tarzan in 3D. "We really feel that big budgets are in part going to make a lot of the problems that we have in Europe disappear," says Martin Moszkowicz, Constantin's head of film and television. "We feel that there are too many small pictures out there. An audience is always going to look for something bigger if it's good quality-wise." In the works is a 3D CGI animated adaptation of Edgar Rice Burroughs' "Tarzan," footage of which will screen at Cannes. Getting the contempo treatment is "Tarzan." Directed by Constantin's toon team of Reinhard Klooss and Holger Tappe, makers of the animated hit "Animals United," "Tarzan" will focus largely on the ape man's younger years. Kulzer and Klooss produce. The film is in production, with Summit handling worldwide sales. Warner Bros has been trying to get its Tarzan movie up and running for several years. Now, I'm hearing that the studios is trying again, and word on the vine is they might well commission two separate scripts that'll be written simultaneously. One will be by Adam Cozad, a rising scribe whose recent work includes the Jack Ryan reboot and Archangel, the pic that has Tron: Legacy's Joseph Kosinski attached. I also hear that the studio is talking to Craig Brewer about doing a different version of the picture. This has been done before on big pictures, and usually the studio makes a decision on which way to go when they both come in. Sometimes, the other script is the next movie in the franchise. But it certainly gives hope that Tarzan will be swinging in the jungle before too long. Cozad's repped by ICM and Gotham Group, Brewer by WME. About: Tell me about your role in [John Carter]. Daryl Sabara: "I'm really excited about it. 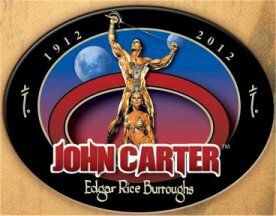 I play Edgar Rice Burroughs, he's the author of all the John Carter stories. He's the author of Tarzan. But this one is just John Carter for now. He plays John Carter's nephew, because in the story Edgar Rice Burroughs incorporates himself and says that John Carter is his uncle and that the stories are actually John Carter's private journal. And so the story's kind of seen through Edgar's eyes." About: What's that set like? Daryl Sabara: "The set is just like being in a huge...it doesn't feel right. Like, the sets are literally - they feel like 10 stories tall. They are so tall and everybody has this incredible body makeup. All my stuff is on Earth so I shot all my scenes in London, kind of like in an old Chicago. But it's a period piece - it's my first period piece. I feel like the movie has a little bit of everything in it, and that's what I'm really excited to see." About: You read the synopsis and it does. Daryl Sabara: "Right. And to see it all on screen together is just going to be really cool to see." About: Is there any scene in particular that you can't wait to see how it translates to the screen? Daryl Sabara: "I don't know if I can say anything. Just when you first see Mars, I think when John Carter first lands on Mars - I'm really excited to see how Mars looks in Andrew's eyes and everyone's eyes." About: This is Andrew Stanton's first live-action film, right? Daryl Sabara: "This is his first live-action. I mean, I feel so lucky to get to work with him. Everyone's so great and just so normal. And it's a passion project of Andrew's. He's been wanting to do it since he was a kid. I've known the book since I was little. My grandfather would read them to me, and so I've known them and I'm so excited. I feel so lucky to be a part of something I'm so excited about." About: Do you think it's probably the most excited you've been about being a part of a film? Daryl Sabara: "Honestly, it is. So far, this is the most excited I've ever been about being a part of a project." On March 9th, 2012, we will see Kitsch grace the big screen as John Carter in John Carter of Mars. The film is based on the first book of Edgar Rice Burroughs’ 11-volume Barsoom series. . . . Kitsch took the time to spill on a few John Carter of Mars details. “You won’t see it [the JC trailer] for a bit. There’s a couple things that need to be tweaked in the sense of just the facts and stuff.” . 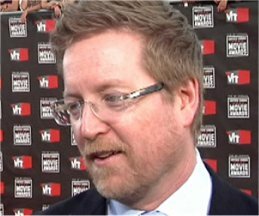 . . Kitsch did have quite a bit to divulge about director Andrew Stanton. John Carter of Mars is a major shift for Stanton as he’s known for creating some of the best of the best in the world of Pixar animation having wrote and directed Finding Nemo, WALL-E and more. And, of course, in terms of the cast, Kitsch is in great company and he knows it. “I wake up, I’m working with [Willem] Dafoe, [Mark] Strong, I’ve got Lynn Collins as Dejah Thoris.” Before wrapping up, Kitsch humbly added, “I’m a lucky man to go to work with these guys. It’s awesome.” Hear all about John Carter of Mars straight from Kitsch himself in the video clip HERE. Taylor Kitsch will watch himself in his latest film once it is complete. Taylor Kitsch has confessed he can't watch any of the special effects that have been filmed on John Carter Of Mars, as he doesn't like watching himself. Taylor told New York Magazine's Vulture blog: "He's got a good chunk of minutes cut, but I just won't watch it until it's done. "They want me to watch it, but I need to wait a bit... It's hard watching myself, so I just gotta trust that they're killing it in post. " Although the release date for the highly anticipated "John Carter of Mars" is still a ways away (March 9, 2012, to be exact), we might be close to seeing an official trailer very soon. When MTV News caught up with star Taylor Kitsch yesterday during the press day for his upcoming drama "The Bang Bang Club," we were pleasantly surprised to learn he had just seen the trailer. "We're doing some fun little pickups right now," Kitsch said. "I saw the official trailer hours ago. [I'm] over the moon," he revealed. "We are just ... it's a special film. It's going to be a good ride. I'm pumped!" Taylor Kitsch Talks JOHN CARTER OF MARS . . .
Collider excerpt. . . What is it like to do films like The Bang Bang Club, that are scaled back and on a smaller budget, and then do something on a bigger scale like John Carter of Mars, where you’re the title character and you’re working with so many effects? KITSCH: Well, I’m reacting with real people, and it’s face-to-face and incredibly gritty. There’s more room for error. [Andrew] Stanton has written a script for John Carter of Mars that is so intertwined and so incredibly intuitive and smart that every word and every sentence correlates to something maybe at the very last scene of the film. On its own, that’s something that I’m very excited to be involved with. I think we’ve done it. We’ve told the story, so that you have no idea what’s going to happen. Just to be a part of this guy’s mind-set and to play this title guy is amazing. This guy was 11 years old, wanting to do this film. Collider: Have you started work on John Carter of Mars yet or are you still in the discussion phase? Scribe Michael Chabon and his wife, author Ayelet Waldman, have set up an offbeat drama project at HBO that revolves around a motley group of conmen and magicians who use their skills at deception to battle Hitler and his forces during WWII. The project, dubbed "Hobgoblin," is in the very early stages of development. Chabon and Waldman will co-write the script, marking the first time they've collaborated professionally, and they will also exec produce. Chabon is a sought-after script doctor and the author of novels including "Wonder Boys," which was adapted as a feature starring Michael Douglas in 2000 and "The Yiddish Policemen's Union," with an adaptation of that novel now in development at Sony with Scott Rudin and Joel and Ethan Coen. He and director Andrew Stanton adapted Edgar Rice Burroughs novel "John Carter of Mars" for Disney, with that pic set for release in March of next year. His back hurts from a dislocated vertebra. He's lost some of his hearing. 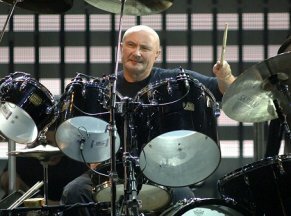 Nerve damage makes it hard for him to hold his drumsticks. 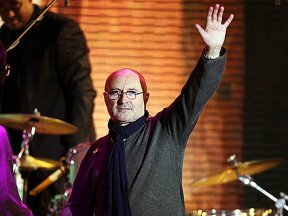 The decades of rock and roll have taken their toll on Phil Collins – both from the wear-and-tear on his body and the pain from the constant barbs from critics. DoG: Talking of projects, you mentioned John Carter Of Mars. We were saying we know virtually nothing about it. I don’t know if you can talk about it? JP: It’s about them being in post, and you know Disney are going to be gigantic when it comes out, and it’s about the fact that, just up the road from here 75 per cent, I would have thought, of effects houses in London are right now rendering incredibly expensive shots, and that’s what they’ve been doing. We shot it, when did we finish shooting it? A year ago? And you always knew it was going to be 18 months of incredibly expensive, big, special effects shots. JP: And they spend so much of their time on story, story, story, and they know that that’s the secret and what they’ll be doing with it is noodling and fiddling and fiddling and editing and cutting and [thinking] is that telling the right story, because unless you have the story right, it will flop, and you need to be emerged and engaged in that story. He is brilliant, I think he’s extraordinary. I mean, WALL-E is just... you watch WALL-E and it is just mind blowing what he managed to wrap up in that film, as a kid’s film supposedly, so deeply, deeply, not cynical, but hopeless view of what we’re turning into. DoG: And that he could have an entire narrative with nothing! JP: They say barely one word each, Eve and WALL-E.
JP: The only thing I can say, is that obviously it’s going to be enormous, it had a huge budget. I don’t like seeing myself on-screen, and I don’t watch myself very much. Once, and then that will be it, but this is a film I can’t wait to see, because I don’t know what’s going on behind me! We were working with these Tharks, which are these nine-foot-tall monsters, and they have four arms. I mean that’s well known, as it’s in the books, but who was it? You know it’s Willem Dafoe in a pyjama suit! JP: Willem Dafoe, in an actual pyjama suit, on stilts, with a camera on his head. I mean it’s the same as Avatar, or any of those things, but it’s very hard to tell what it’s going to look like with any of those things. DoG: It should be quite a revelation for you when you do get to see it. I’m looking forward to it! Entire Den of Geek Interview with other topics: Ironclad, Solomon Kane, 007, etc. Price: CDN$ 10.80 and eligible for FREE Super Saver Shipping What lies in the depths of the jungle? Escaping a dark secret, Robbie Canler joins an illegal logging team in the Congo jungle. Now they"re under siege from a sinister force. When the daughter of the camp's boss, Jane Porter, goes missing they assume bloodthirsty rebel soldiers have kidnapped her. Robbie sets out on a rescue mission - unaware he is being watched...Are the rumours of a feral man raised by wild apes true? If so, can the mysterious untamed savage be trusted to help them? Andy began his writing career working on Hollywood movie projects, such as Freddy Vs Jason and Foreverman for Spider-Man creator Stan Lee and legendary producer Robert Evans. 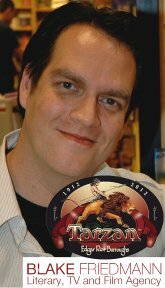 He has written several graphic novels, including the horror-thriller Ritual and Kong King of Skull Island. His first children's books were the eight part Hero.com and Villain.net series for Oxford University Press. He's currently working on several exciting TV and feature projects in between his books. Tarzan has been a passion from childhood and he's thrilled to now be writing and updating the legendary hero. "I'm not in post-production — I'm in digital principal photography now, which goes on for the rest of 2011, so I'm only halfway through the movie," he explained, indicating that there's a fair amount of effects-heavy work that's still to be accomplished. So, what are some of those effects going to look like? Stanton kept his lips zipped in terms of the aesthetic of "Carter," though he gave an enticing tease: "I didn't try to make it look like anything else. I really tried to make it its own thing. I tried to make a very historically accurate Martian film if that makes sense, so I'll let you decipher that." "Carter" was an interesting shoot for Stanton for a number of reasons, not the least of which is the fact that this was the "WALL-E" director's first foray into live-action filmmaking. "When you've made animated movies your whole life, it was pretty exciting to be outside for a day, let alone for months," said Stanton, a fixture at Pixar. "For as cold and as hot and as hard as it was, which I knew it would be, I was up for it and it was a blast. It was the hardest thing I'll ever have done, but man, it was a great adventure. It was like sailing across the ocean, you know, everything that goes with that." An 18 second piece of footage of a Silverback gorilla in Kent walking upright on his hind legs like a human has become a YouTube sensation. Over 3 million people have viewed the clip in just a few days and the number is rising. The male named Ambam, 21, is part of a bachelor group of critically endangered Western lowland gorillas at Port Lympne Wild Animal Park in Kent. Twin mountain gorillas have been born in Volcanoes National Park in Rwanda. The babies born on 3 February 2011 are only the fifth set of twins ever recorded in the history of Rwanda's mountain gorillas. The last reported birth of mountain gorilla twins was in 2004, according to conservation group The Gorilla Organization. Fewer than 800 mountain gorillas are thought to remain in the wild, though numbers are thought to be increasing. "It is very rare to hear of mountain gorilla twins, so we were all excited to hear the news from rangers yesterday," says Emmanuel Bugingo, Programme Manager in Rwanda for The Gorilla Organization, which has staff in London, UK and Africa. Disney Moves John Carter of Mars Feature to March 9, 2012 Tim Burton's Frankenweenie in 3D, an expansion of his original 1984 short, has been shifted from the originally announced March 9, 2012, to the more appropriate October 5th, 2012. Along with pushing back Frankenweenie, the studio is moving up John Carter of Mars from June 8th, 2012 to the March 9th date vacated by Frankenweenie, where it'll go head-to-head against Ridley Scott's Prometheus. Prometheus has, in turn, left the March 9th slot to move to June 8, 2012 -- John Carter's old slot. Tarzan: The Greystoke Legacy - Coming in June 2011! 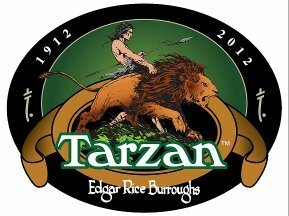 2012 sees the centennial anniversary of the publication of Tarzan of the Apes by Edgar Rice Burroughs. As part of the run-up to this milestone, Andy Briggs has been writing a new series of Tarzan books, the first of which, Tarzan: the Legacy of Greystoke, is due to be published in June 2011 by Faber & Faber. Set in modern Africa, Tarzan: The Greystoke Legacy follows a re-imagined Tarzan who is edgier, untamed and feral while remaining the iconic hero, raised by apes and protector of the wild. Among the 21st-century difficulties the new Tarzan will face: warring guerrillas, poaching of endangered animals, illegal logging and the decline of the environment. The story's original characters will appear in slightly different form: Jane is a 14-year-old girl accustomed to technology, Robert Canler is a runaway with a mysterious past, and cannibal tribes are replaced by rebel guerrillas. Synopsis: What lies in the depths of the jungle? Escaping a dark secret, Robbie Canler joins an illegal logging team in the Congo jungle. Now they"re under siege from a sinister force. When the daughter of the camp's boss, Jane Porter, goes missing they assume bloodthirsty rebel soldiers have kidnapped her. Robbie sets out on a rescue mission - unaware he is being watched... Are the rumours of a feral man raised by wild apes true? If so, can the mysterious untamed savage be trusted to help them? Andy Briggs will be rebooting the TARZAN franchise in a brand new series of books. Bringing Edgar Rice Burroughs classic eco-warrior into the 21st century, the new franchise looks to kick off next year in preparation for the 2012 centenary of Tarzan’s first appearance! Today saw another tick in the life-box of things I've always wanted to achieve, that being write a TAZAN book. I completed the first draft today with a huge sigh of relief. I have been living with this story for the last year and a half in which time I had to approach the Edgar Rice Burroughs estate for permission to launch an official re-boot of the character, then I had to prepare sample chapters, story break downs and truck loads of enthusiasm as we went out to publishers. And now, after a great research trip to Africa last year, I have finished! In between that I was fielding calls with the Sunday Times who are doing a feature on Tarzan this weekend, so be sure to check that out. The creator of Tarzan, Edgar Rice Burroughs, died in 1950, and the law of copyright is a complete mess - different in the US, where Tarzan is in the public domain, like in Australia as well I think, unlike the rest of the world. And then ‘Tarzan’ is a trademark now, and you cannot do anything with the name. It’s a quagmire…a bit of minefield. I had the idea of re-launching and rebranding the character for a modern audience, and everyone said forget it, it won’t happen. But I went ahead anyway and directly approached the Burroughs estate - who are the nicest people to work with - and they were interested! I went over to LA to meet them, at the brilliantly named Tarzana , and they really bought in to the rebranding idea. What I didn’t realise at the time  was that 2012 was the centenary of the publication of the first Tarzan story, and we, the estate and I, have been working together in secret on the idea. There were various offers and deals, but now the first new title will be published by Faber next summer. Weirdly enough, despite the fact that the last live action movie was Greystoke in 1984 [ERBzine: TARZAN AND THE LOST CITY 1998], and then there was the Disney cartoon version in 1999, the kids still know who Tarzan is and can all do the yodel. Despite the fact that it comes from the 1930 black and white movies! 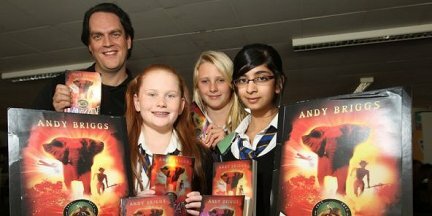 Andy Briggs has written film and TV screenplays, comic book scripts and novels, often all at the same time. He’s probably best known in the children’s publishing world for Hero.com and Villain.net, his two ‘parallel worlds’ superhero series from OUP. UK publisher Faber has signed a new children's series featuring the "next generation Tarzan", with the full backing of the Edgar Rice Burroughs Estate. Set in modern Africa, the series will be written by Andy Briggs, author of the Hero.com books and the Villain.Net "anti-series". The first title will be released in 2011, with the second book launched during the official Tarzan centenary celebrations in 2012. Aimed at nine-11+ readers, Tarzan: The Greystoke Legacy follows a re-imagined Tarzan designed to appeal to a contemporary audience. Faber said he would be "edgier, untamed and feral while remaining the iconic hero, raised by apes and protector of the wild. However, living in the 21st century Tarzan has more perils to face than during his original conception: warring guerrillas, poaching of endangered animals, illegal logging and the decline of the environment to name just a few". The original characters will remain, albeit in a slightly different form: Jane is a 14-year-old girl, used to "technology and civilisation", while Robert Canler is a runaway with a mysterious past, who sees Jane as a replacement sister; the cannibal tribes have been replaced by rebel guerrillas. James Sullos, president of Edgar Rice Burroughs Inc,: "Our desire to bring the Tarzan legend into the 21st century matches perfectly with Andy Briggs's imagination and talent for adding adventure and suspense to the Greystoke legacy. We are anxiously awaiting the first instalment." London, April 2010. History is littered with examples of brands trying to reinvent themselves to appeal to a new generation, but for one of literature’s most successful franchises, all that’s required is a return to its roots – literally. Since he first swung onto the world stage in 1912 the bare-chested, savage yet principled character of Tarzan has struck a chord with generation after generation as he fights to protect the jungle, its resources and its inhabitants. Now, almost a hundred years later, a partnership between the Edgar Rice Burroughs estate and one of Britain’s hottest writers is set to bring Tarzan the Eco Warrior to the PlayStation generation, with a new series of Tarzan novels. The power of a global brand isn’t an absolute guarantee of success and before committing to the new series, the first of which ‘Tarzan, The Greystoke Legacy’ is set to appear in 2011, the Edgar Rice Burroughs Estate looked carefully for an author who could match the vivid storytelling which originally brought Tarzan to life and inspired millions including environmentalist Jane Goodall. Andy Briggs, whose credits include the highly successful ‘Hero.com and Villain.net’ book series, now in negotiation for an animated TV series, and a string of scriptwriting credits for the likes of Disney and Paramount Pictures has already been involved with iconic franchises such as Highlander and Judge Dredd. For him, the character of Tarzan and his beliefs are ripe for re-booting. Tarzan remains the iconic hero, the man raised by apes and protector of the wild but in the 21st century he is edgier and more feral. The combination of strong writing, a global icon and the up-coming Tarzan centenary provide the perfect springboard for what looks likely to be a major series of books with an inevitable cross-over to film and merchandising. It is a combination which Julian Friedmann, agent to both Andy Briggs and Edgar Rice Burroughs, Inc. believes has all the right ingredients. A family-owned corporation, Edgar Rice Burroughs, Inc. has been in existence since 1923 and is located in Tarzana California. Both the corporation and the town in which it resides, Tarzana, owe their existence to the imaginative talent and business acumen of one man, Edgar Rice Burroughs who by the time of his death in 1950 had penned almost 70 novels and over 40 short stories. There is not a facet of popular culture which Tarzan has not explored at one time or another during the past eighty-some years, and Edgar Rice Burroughs, Inc. continues to oversee the marketing of Mr. Burroughs' ever-popular creations bringing Tarzan to new generations and audiences worldwide as it prepares for the literary centenary of the ‘ape-man’ in 2012. 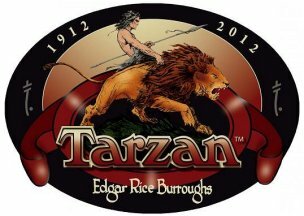 Edgar Rice Burroughs, Inc. vigorously enforces and defends its rights in the Tarzan character and stories. In 2003, for example, the U.S. Court of Appeals for the Second Circuit affirmed the trial court's decision in ERB's favor that two Tarzan books published in 1972 and 1976 illustrated by artist Burne Hogarth are works for hire owned by ERB, notwithstanding erroneous registrations stating that Hogarth was the author of the works. The district court initially sanctioned ERB's adversaries and their counsel, though the court later vacated the sanctions on the condition that ERB be reimbursed for certain of its attorneys' fees that had been the subject of the sanctions motion.